OF MISSOURI STATE POETRY SOCIETY, INC. Section A. The name of this society shall be Missouri State Poetry Society, Inc. Section B. Missouri State Poetry Society, Inc., shall be a non-profit, non-political, non-sectarian literary society. Section C. Missouri State Poetry Society, Inc., shall be a state member of National Federation of State Poetry Societies, Inc. In the event of the dissolution of Missouri State Poetry Society, Inc., Missouri Poets and Friends of Springfield, Missouri, will become the state member of the National Federation of State Poetry Societies, Inc. Section D. The headquarters of Missouri State Poetry Society, Inc. shall be at the street address of the current president of the society. Section A. Offering linguistic and professional contexts that appeal to the human mind and spirit, Missouri State Poetry Society, Inc., shall be an exclusively educational and literary society within the meaning of Section 501(c)(3) of the Internal Revenue code. Section B. Recognizing the importance of poetry to our local, state, and national heritage, Missouri State Poetry Society, Inc., shall stimulate an appreciation of poetry through reading, publishing, and distributing poetry, including the sale of poetry to members of the society, members of other literary organizations, and to the general public. Section C. By providing opportunities for the study of and practice in the writing and reading of poetry, Missouri State Poetry Society, Inc., shall unite poets in bonds of fellowship and understanding. Section A. Missouri State Poetry Society, Inc., shall have active and honorary members and members at-large. Section B. Members of affiliated chapters within the state of Missouri are upon payment of state dues automatically members of Missouri State Poetry Society, Inc., and National Federation of State Poetry Societies, Inc. Section C. Honorary members are poets upon whom the society wishes to bestow special honor because of their contribution to the objectives of Missouri State Poetry Society, Inc. Such a member is named for the duration of his or her lifetime. Missouri State Poetry Society, Inc. shall never have more than twenty-five honorary members at a given time. These members pay no dues. 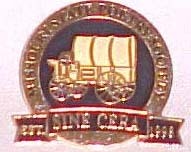 Section D. Members-at-large are persons not currently members of affiliated chapters but have paid their annual dues by January 1 of the current year. Members-at-large cannot hold office, but they can vote and receive the newsletter, publish poetry in the society's anthology, and participate in the society's meetings when possible. Section A. Missouri State Poetry Society's dues for each member of affiliated chapters shall be seven dollars per year, payable by January 1. Three dollars of each member's dues will go to the National Federation of State Poetry Societies for membership in that group and eligibility to enter the national contests at a reduced rate and to receive the national newsletter, Strophes. Section B. A member-at-large shall pay thirteen dollars per year, payable by January 1. Three dollars of the dues of a member-at-large will go to the National Federation of State Poetry Societies, Inc., for membership in that organization and eligibility to enter the national contests at a reduced rate and to receive the national newsletter, Strophes. The remainder of the dues will be used to help finance the state society's activities and to mail Strophes and other materials to the member-at-large. Section A. The elective officers of Missouri State Poetry Society, Inc. shall be a president, a vice-president, a secretary, a treasurer, a youth work director, a webmaster, and editors. These officers and representatives from each local chapter constitute the MSPS's board of directors. They shall meet semiannually to plan the activities of the state society. Section B. The president shall preside at meetings of the society and the board of directors. At least one meeting shall be planned for the entire membership each year. The president shall also appoint other officers, such as a librarian, an historian, an archivist, and committees to carry on the work of the society as needed. Section C. The vice-president shall preside at any meeting in the absence of the president and assist the president in other society matters as requested. Section D. The secretary shall record the minutes of all meetings of the society and the board of directors and furnish them copies of the minutes. The secretary shall also conduct correspondence for the society as directed by the president. The secretary shall keep a record of current membership with addresses and local chapter affiliations. Section E. The treasurer shall receive and disburse all moneys of Missouri State Poetry Society, Inc., and shall report such receipts and disbursements at meetings of the board of directors and at meetings of the society. Section F. The editors shall be responsible for the state newsletter Spare Mule and the yearly anthology Grist. Section G. The youth work director plans activities for student poets, particularly the Manningham Awards contests. Section H. An officer may serve in more than one capacity. For example, the offices of secretary and treasurer may be combined into that of a secretary-treasurer. Section I. An advisory board made up of five to seven past MSPS officers and honorary members shall be appointed annually by the current president. This board may give guidance to current officers or the MSPS board as a whole. Members of the advisory board may attend but not vote at MSPS board meetings. Section A. Missouri State Poetry Society, Inc., shall encourage its members to participate in poetry contests, such as the annual contests of National Federation of State Poetry Societies, Inc., and the contests of state societies, including those of Missouri State Poetry Society, Inc. Section B. Missouri State Poetry Society, Inc., shall conduct poetry contests for members within Missouri, for members of National Federation of State Poetry Societies, Inc., and contests open to any poet. Section A. Missouri State Poetry Society, Inc., shall from time to time issue a newsletter to promote activities of the state society and to inform the members of other items of interest to them. Section B. Missouri State Poetry Society, Inc., shall publish an annual anthology containing poems by members of the society. Section C. Missouri State Poetry Society, Inc., shall encourage its members to publish their poems in books, chapbooks, journals, and newspapers to make available the poems of Missouri poets and other members of the society. Section A. Missouri State Poetry Society, Inc., shall not carry on propaganda or otherwise attempt to influence legislation and shall not participate in or intervene (including the publishing or distribution of statements) in any political campaign on behalf of any candidate for public office. Notwithstanding any other provisions of these articles, MissouriState Poetry Society, Inc., shall not carry on any other activities not permitted to be carried on (a) by an organization exempt from Federal Income Tax under Section 501(c)(3) of the Internal Revenue Code of 1954 (or the corresponding provision of the any future United States Internal Revenue Law) or (b) by an organization, contributions to which are deductible under section 170(c)(2) of the Internal Revenue Code of 1954 (or the corresponding provision of any future United States Internal Revenue Law). Section B. No part of the net earnings of Missouri State Poetry Society, Inc., shall inure to the benefit of, or be distributable to, its officers, members, or other private persons except that the society shall be authorized and empowered to pay reasonable compensation for services rendered. Section C. In the event of the dissolution of Missouri State Poetry Society, Inc., the board of directors shall, after paying or making provisions for the payment of all the liabilities of the society, dispose of all the assets of the society exclusively for the purposes of the society in such manner, or to such organization or organizations organized and operated exclusively for education or literary purposes as shall at the time qualify as an exempt organization or organizations under Section 501(c)(3) of the Internal Revenue code of 1954 (or the corresponding provision of any future United States Internal Revenue Law), as the board of directors shall determine. Any such assets not so disposed of shall be disposed of by the Circuit Court of Polk County exclusively for such purposes or to such organization or organizations, as said Court shall determine, which are organized and operated exclusively for such purposes. Amendments to these bylaws, whatever their origin, shall be filed with the secretary. A proposed amendment shall be presented to all active members by mail, and a vote shall be taken at least 15 days afterwards. The vote may be by mail or at a regular meeting. A majority vote of the membership shall be required for adoption.